The University Theatre at the University of Kansas established the LeWan Alexander Spiritship Fund in 1998 to honor an alumnus and former faculty member. The LeWan Alexander Fund was kicked-off in the summer of 1999 with a lead gift from Robert K. and Dale Jellison Weary of Junction City, KS, who established a charitable lead annuity trust with the Kansas University Endowment Association. LeWan, a consummate actor, inspiring leader and teacher, attended the University of Kansas from 1979 to 1983 and went on to pursue a career as a professional actor. 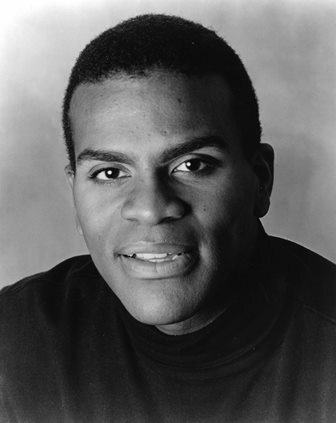 LeWan returned to the University of Kansas in 1990 to teach and create a Minority Theatre Program. At the time of his death, in October 1995, he was a professional actor performing with the Oregon Shakespeare Festival in Ashland, OR. The LeWan Alexander Fund is used to support an ongoing guest artist program which celebrates and extends the kinds of contributions LeWan Alexander made to and through the University Theatre. This guest artist program objective will strive to provide role models who will enhance the involvement of KU students of color in University Theatre productions; seek to promote an increase in the number of UT productions providing a focused artistic voice to multicultural issues; enhance the multicultural awareness of all UT audiences, regardless of ethnic heritage; and make evident to the KU community and beyond the UT's ongoing commitment to multicultural theatre. These guest artists will be chosen by a committee appointed by the Director of the University Theatre. Contributions to the LeWan Alexander Fund may be made via KUEA.